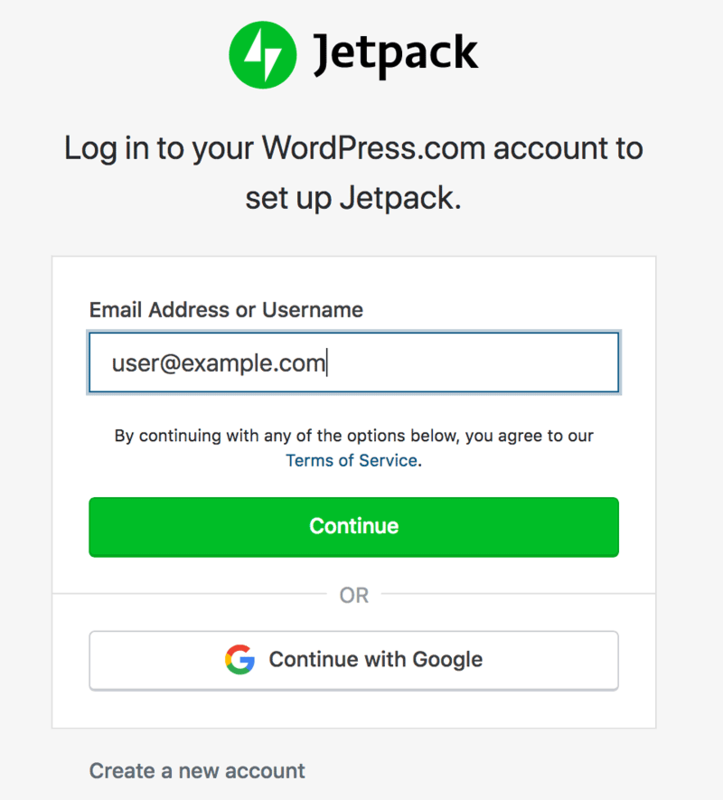 The Jetpack WordPress plugin offers access to additional professional themes, performance improvements, scanning, site activity and marketing tools. It is enabled by default, but requires that you register with WordPress.com and activate a plan to use it. 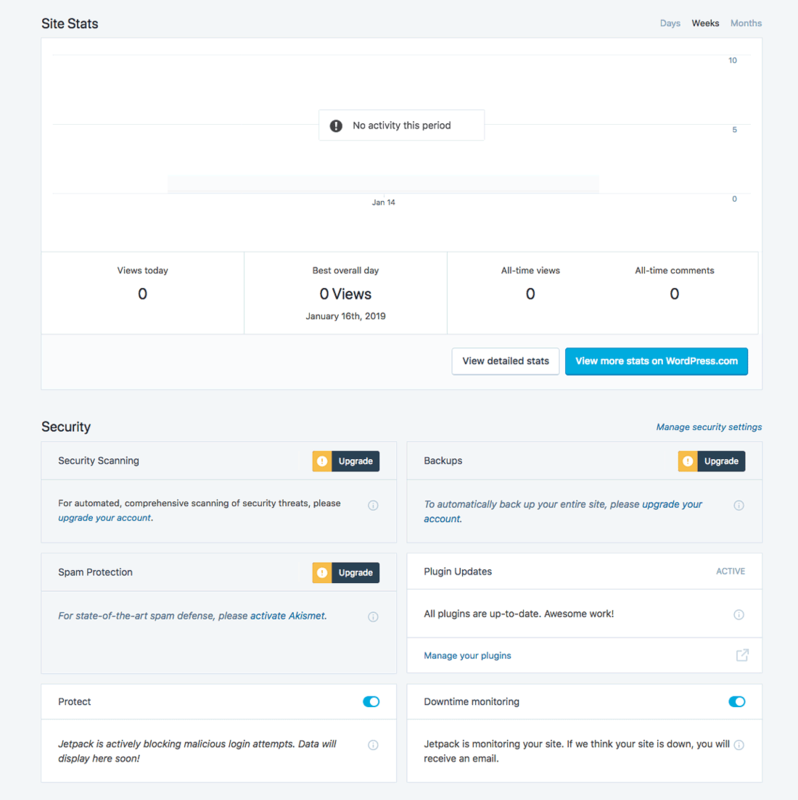 Apart from these features, paid Jetpack plans include spam protection, off-site backups, malware scanning, SEO tools, premium themes, an improved search engine and priority support. 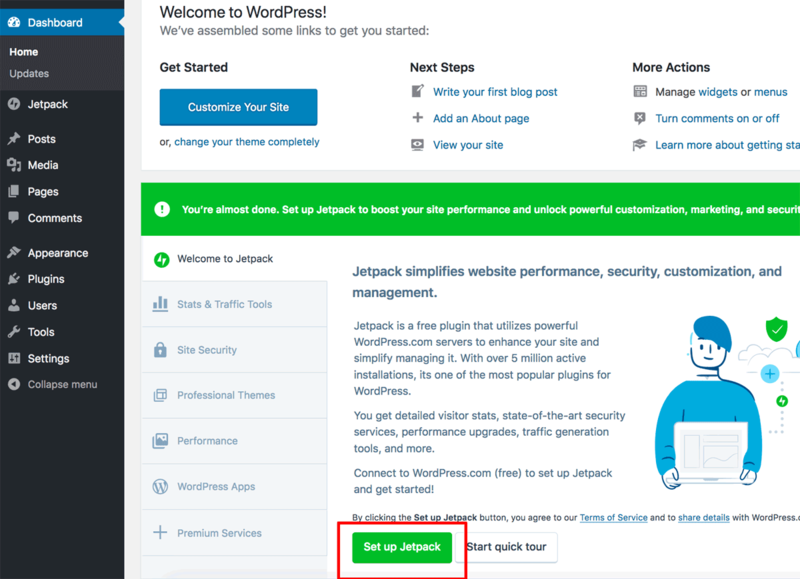 Click the “Set up Jetpack” button in the WordPress dashboard. You will be redirected to WordPress.com. Create a new account, or log in with an existing WordPress or Google account. You will be presented with a choice of plans, each with different features and benefits. A free plan is also available. Select the plan that matches your requirements (and make any required payment). You will be redirected back to the WordPress administration panel with the Jetpack plugin now active. Akismet is an anti-spam plugin that automatically checks user input (such as user comments on blog posts) against a spam database and highlights those that require manual verification. VaultPress is a backup and security plugin that supports real-time backups and security scanning. Once activated, the Jetpack plugin adds a new “Jetpack” menu item to the WordPress administration panel. 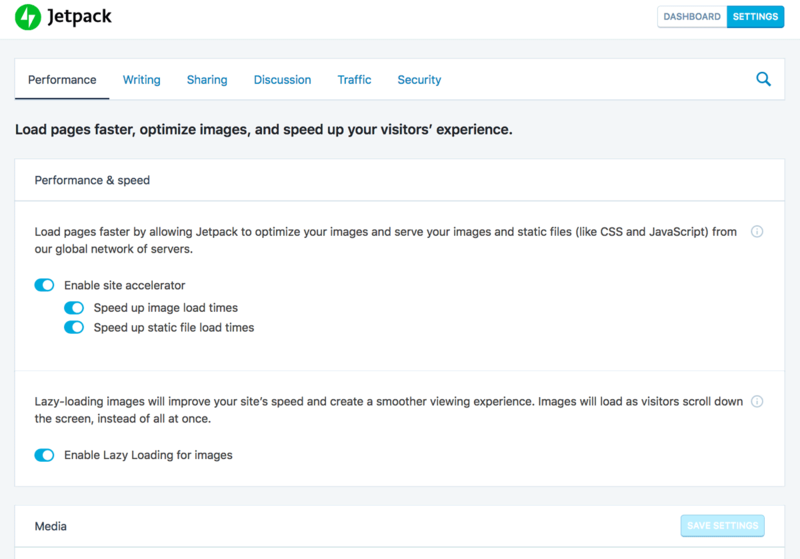 Selecting this menu item opens the Jetpack dashboard, which displays an overview of site statistics and settings. 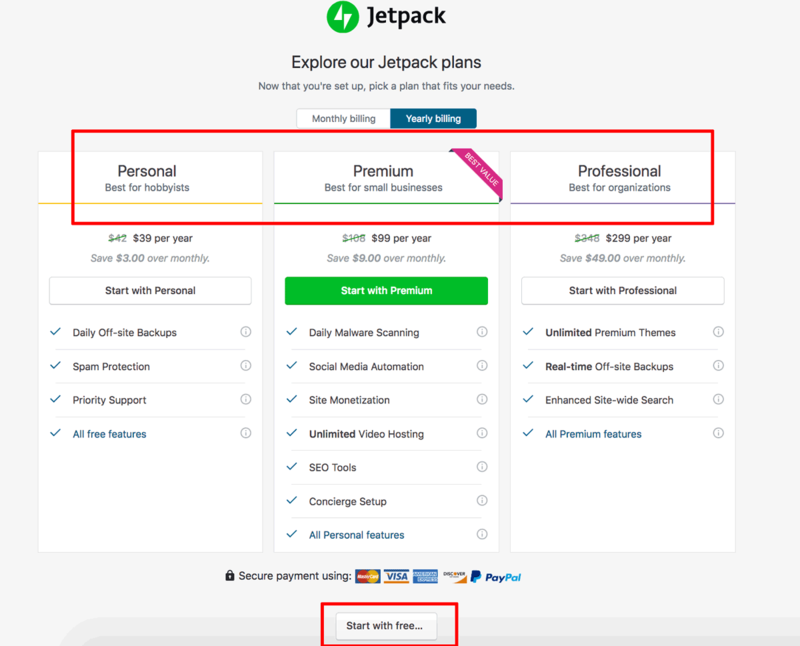 Learn more about Jetpack features.